Today, the New Hampshire’s House of Representatives will vote on a Bill that would decriminalize small amounts of marijuana for recreational use. House Bill 492 proposes to legalize one ounce of marijuana for people 21 and older. Proponents of the Bill say it would unravel regulations put in place during the prohibition era, and align New Hampshire with other states which have enacted similar laws, most recently Colorado. Supporters of the Bill further believe that the new proposed law would help generate millions of dollars in revenue for New Hampshire. Other aspects of the Bill propose regulating and taxing the marijuana at a rate of $30 per ounce, and allows individuals to grow up to six plants in a controlled environment. Opponents of the bill say it will be difficult to regulate, flies in the face of federal regulations, will not bring in the anticipated revenue to the State, and will lead to increased criminal activity in the State. Moreover, they argue that marijuana use is simply bad for people’s health. Governor Maggie Hassan promises to veto the Bill if it comes across her desk, although she previously supported allowing medical marijuana possession and use for the serious ill. Last year, the NH State Senate rejected a Bill that would have decriminalized possession of up to one-quarter ounce of marijuana. 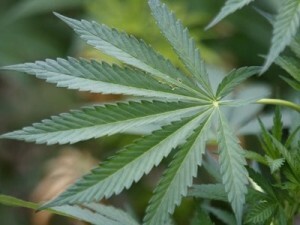 Tagged: Decriminalized marijuana, NH Criminal Lawyers and Pot Possession in NH.